Lets Get Down To Business! To (Def)Eat the Huns! Hello and welcome to another installation of Mastication Monologues! I’m just getting off a long but rewarding templestay weekend in the mountains outside of Seoul. However, upon returning to civilization, I was on a mission to try a new cuisine that I would have never have thought would be lurking in Seoul’s gastronomic dark corners: Mongolian food. Now, in terms of Asian cuisine, Mongolia would not be the first country that would come to mind, and who could blame me with China’s vast plethora of regional dishes and Japan’s global appeal with sushi appearing all over the world. I would expect simple cuisine like a tenderized piece of beef that has been sitting underneath a Mongol saddle for weeks during a ride across the wind-swept steps (this is actually one theory that may credit the Mongol armies with inventing hamburgers). 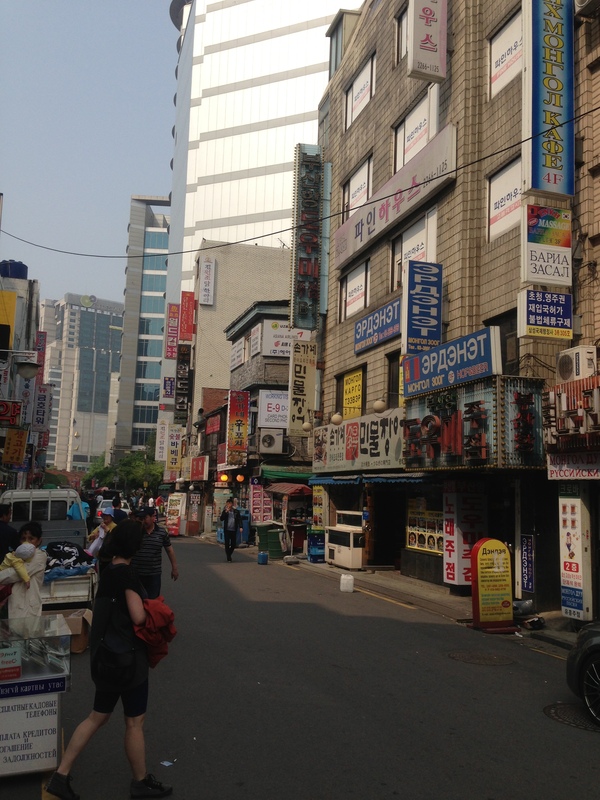 So I found out that right by Dongdaemun History Park, exit 5 is Seoul’s very own Central Asian quarter. 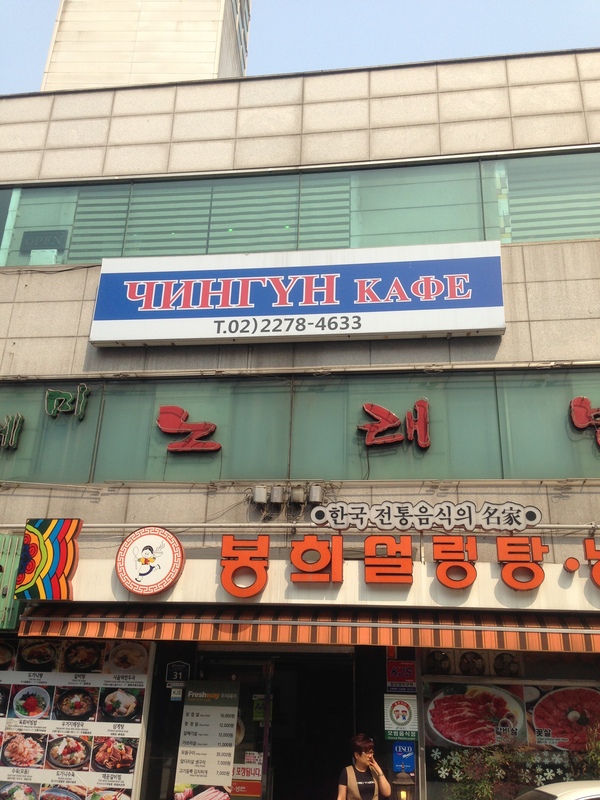 In Seoul, Cyrillic reads you! As soon as I walked onto the main street, I felt like I was transported to a land of Borats and Azamats, and they were watching me closely as I resemble their former Russian overlords. History aside, I was soon in front of Darkhan Cafe (Дархан Kaфe) for some Mongolian cuisine. Upon walking into the establishment, I was greeted with blank stares from the ladies running the kitchen and a few Mongolian guys from the table across the room. 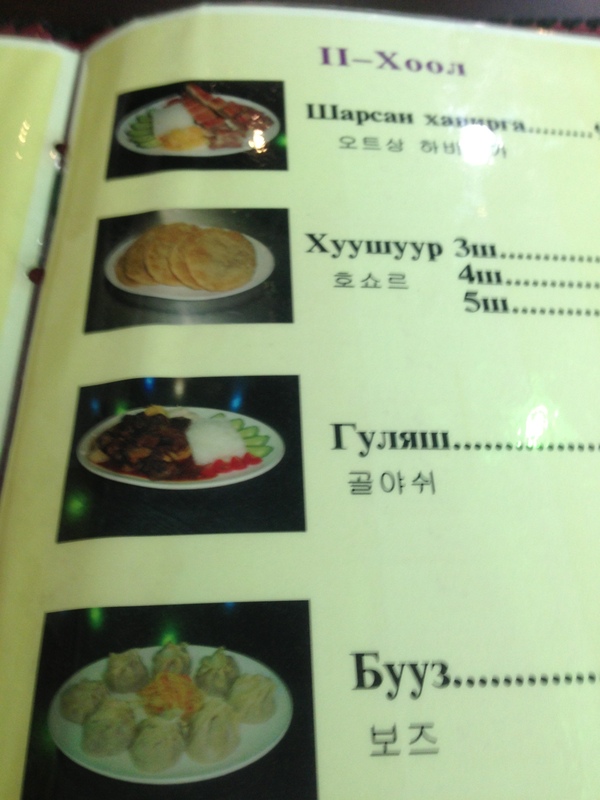 I guess they’re not used to seeing outsiders in the restaurant, and I have to warn you now that the menus are only in Korean and Cyrillic for the most part aside from the drink menu. My waitress was quite cordial and spoke a tiny bit of English to help me choose what I figured to be Mongolian goulash based off of the appearance in the menu and my rudimentary skills in sounding out Cyrillic. It came out after about 15 minutes, and it looked very simplistic in appearance but hearty. Just my kind of meal for 9,000 Won. I don’t know if it was the fact that I spent the entire weekend eating only vegetables, but the pieces of meat were extra succulent, packed with flavor, and had a great ratio of fat to tender beef. The gravy was a nice, slightly-salty compliment to the savory beef. 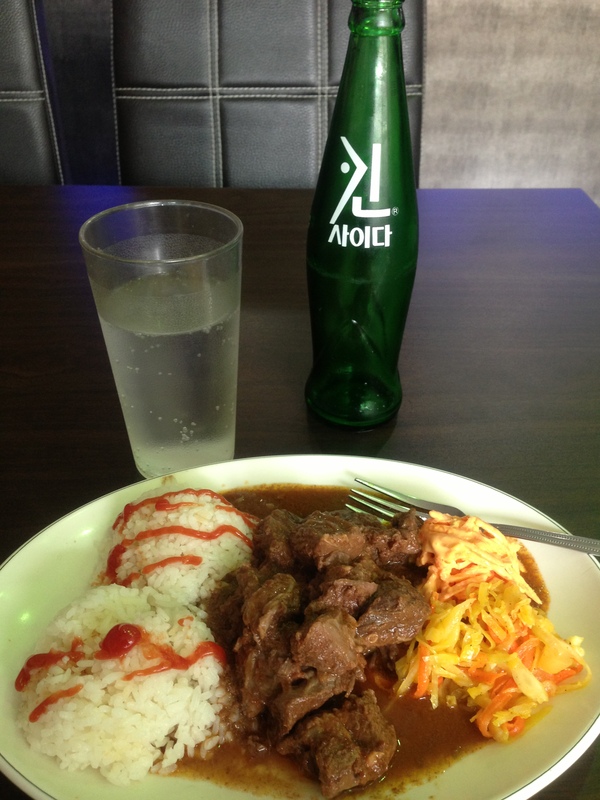 I also noticed the rice it was served with was drizzled with ketchup which I assume was a touch to modify it for Korean tastes. However, I really enjoyed the pickled vegetables and carrot salad on the side. The pickled vegetables were not obnoxiously sour, but did have a slight bite that complimented the bland white rice. Plus, the carrot salad was quite rich because it consisted of julienned carrots mixed with some sort of mayo and Thousand Island dressing mixture that was strange yet strangely comforting. Overall, I was satisfied with the meal. Did it conquer my heart like Ghengis Khan did minus the pillaging/massacring/being related to 1 in every 200 men in the world? Not really, but it was something new and exciting in a non-touristy restaurant. So if you’re tired of going to the same old Korean/Western restaurant, come to Darkhan Cafe to experience your own piece of Xanadu (the kingdom, not the song). 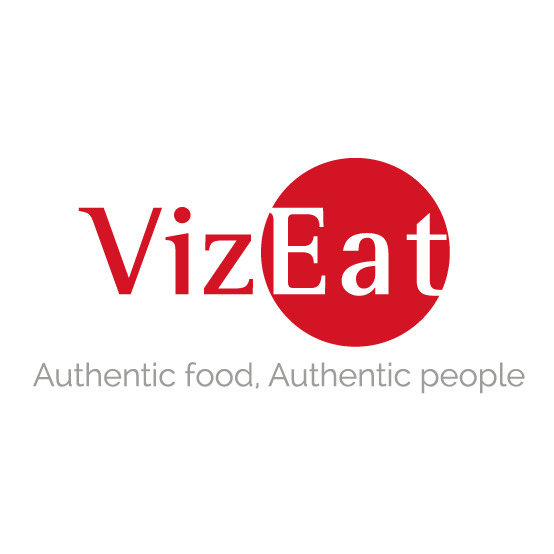 Posted in Central Asian Cuisine, Mongolian and tagged authentic, beef, cafe, dining, Food, gravy, Mongolian, rice, salad. Bookmark the permalink. Best title for this post ever. Thanks, Amy. I couldn’t pass up a Mulan reference if I was going to be eating authentic Mongolian food. Believe me, I was a strong as the great typhoon plowing through the meal.